Its happened to us all. You're in the zone and production is going pretty well, then out of nowhere you hit a problem. Our first reaction is to hit the panick button! Thankfully, there is the 11 Second Club and somebody is usually around to help. However, sometimes you may find it quicker to use the search tool to see if anyone has had a similar problem. The search tool is located near the top, shown here in the little diagram. To try it out, please click here. If you haven't checked them out so far, the Helpful Hints section could well be a wonderful discovery for yourself! They are a delightful collection of tips and advice, covering topics such as acting and encoding. Written by Eric Scheur, they are a great read that you could well find yourself visiting again and again. Please click here to read and enjoy! 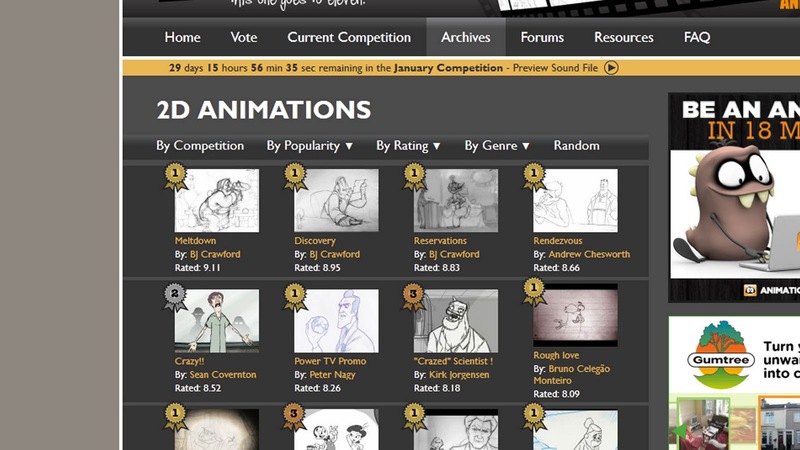 Ever wondered which animation received the highest vote in the 11 Second Club? 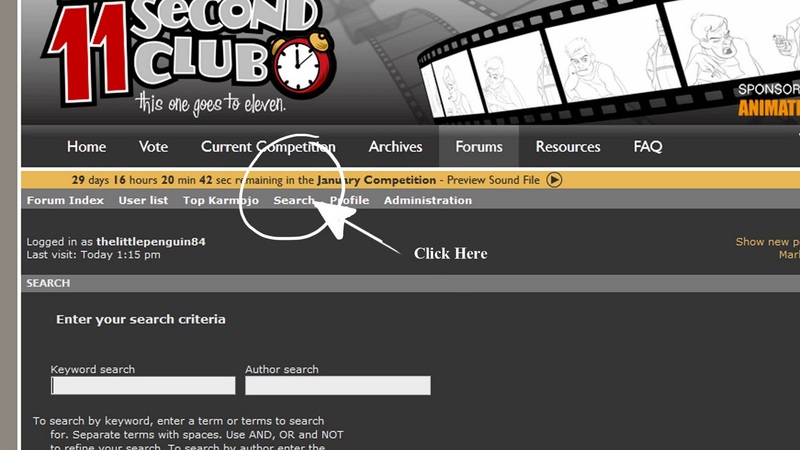 Perhaps you wish to filter through the entries to view the best 2D or stop motion entries, or those who have made short films out of their clips? If so, there is an option to search the archives. 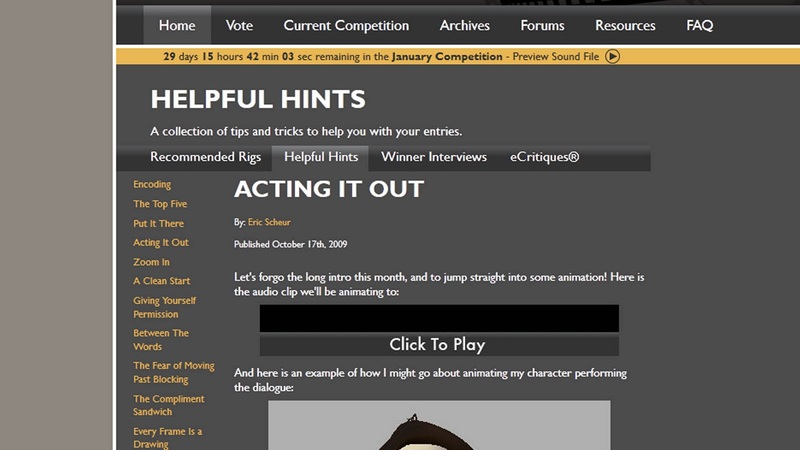 When first click this section, it brings up a list of winners from each month. However, it also includes a row of menu options which allow you to search through and explore.